The very first step in any SEO Marketing Campaign doing a substantial amount of Keyword Research. 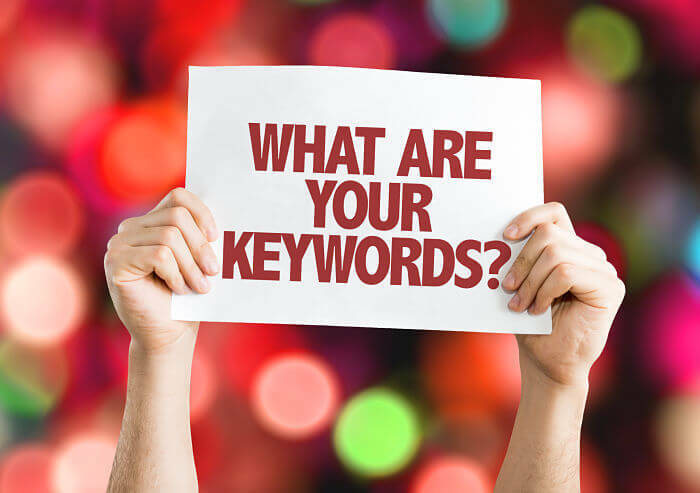 Keyword Research is looking deeply at what keywords you would like your website to be found for, then systematically choosing keywords to go after. True keyword research takes time and diligence and an understanding of the metrics of the keywords you are looking at. In many instances, what you THINK you want your website to be found by, and what can generate the most money are two very different things! If you would like to see a HUGE list of potential keywords for your website, just ask us. Delivering free keywords are one of our FREE SEO Services that we offer to everyone! Although in digging in there are many statistics to weigh, we are going to describe some of the main factors in keyword research. One big thing is simply the number of times a particular keyword is typed into Google. This one is a no-brainer as it doesn’t do you any good to rank #1, #2 and #3 for a search term that no one else ever searches. You can look at the amount of searches by a particular location or globally. When looking at the gross number of searches, you may not want to go after some of the biggest as they may not convert for your website. For instance, if researching “home painter” you may see a huge number of searches for “home paint” — in which the searcher is looking for information on the paint itself, and would do you little good to focus on. One of the biggest factors in evaluating keywords are the level of competition. Competition will give you some insight on how many other websites are focusing on that specific keyword. Needless to say, the higher the competition, the harder it will be to rank. In some instances, you will see a higher level of competition for certain keywords depending on the geographic location. For instance, you may find that the competition is fierce for “Dallas Personal Injury Attorney” but is not as competitive for “Denver Personal Injury Attorney”. At the end of the day, competition should be one of the determining factors when you are given your price for SEO Services. A Good SEO Company should look hard for a great keyword phrase, that will convert, but doesn’t have that much competition. Or if it does have a lot of competition, see how hard it will be to knock them out of the #1 position. Cost per Click is referring to the amount of money (averaged) that marketers are willing to pay for Google AdWords. In many instances, Cost per Click is directly correlated to the competition. That makes sense as if a specific group of keywords are very sought after, then people are willing to simply buy ad placement. This is not always the case! For instance, it is common to see a low Cost Per Click but high Competition. “Dog Walking Services” for instance usually will be very heavy in competition, but the CPC will be low. That is simply because the cost per acquisition of a lead needs to be less than the revenue generated in order for SEO to have a return on investment. Because of that, people are simply not willing to bid up the cost per click on those types of keywords. Traffic Value is the last keyword metric we will discuss. Keyword Traffic Value is simply the cost per click multiplied by the total number of clicks. This gives you some insight on exactly how much money is being thrown at a keyword phrase. You may find that even something with a low number of searches, such as “mesothelioma attorneys” wont have a huge number of clicks, but a tremendous amount of competition and a very large cost per click (CPC). Even though there are not that many searches, to acquire one lead for that search term has a large payoff. The simple goal of keyword research is to strategically search out the terms that make the most sense for your business. Although keyword research sounds like it should be easy, that is not always the case. Because the keywords that you decide to build your website around become ingrained in your site, you should really think through your entire digital marketing strategy prior to settling on what to go after. As previously mentioned, DEAN Knows will provide a FREE list of keywords for your business with some of the basic keyword metrics. To request your keywords, just click HERE.